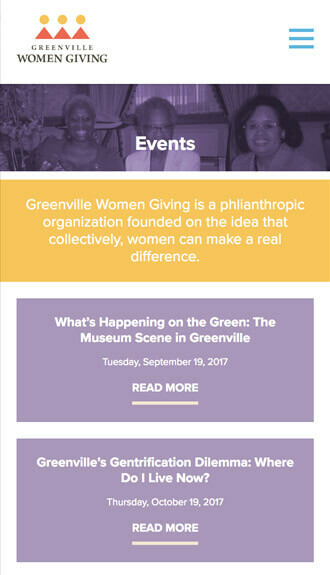 Greenville Women Giving is a group of more than 500 dynamic women committed to growing the Greenville community. 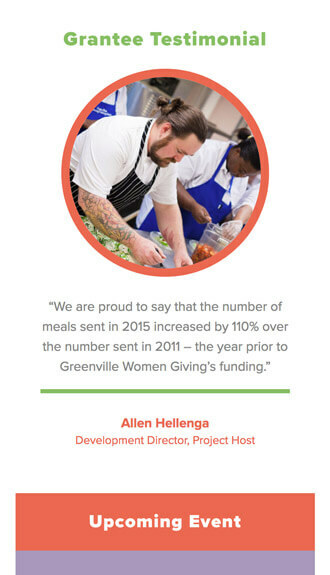 Under the idea that by giving collectively they can make a greater impact, Greenville Women Giving has given back more than $4.8 million in grants to help local organizations thrive. 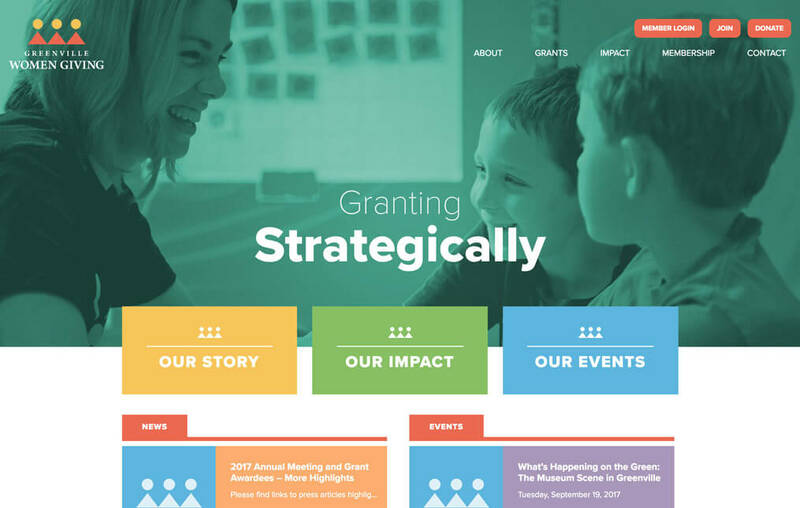 The organization approached Beam & Hinge to visually highlight their membership and the impact they have made on the Greenville community through a modern web design. 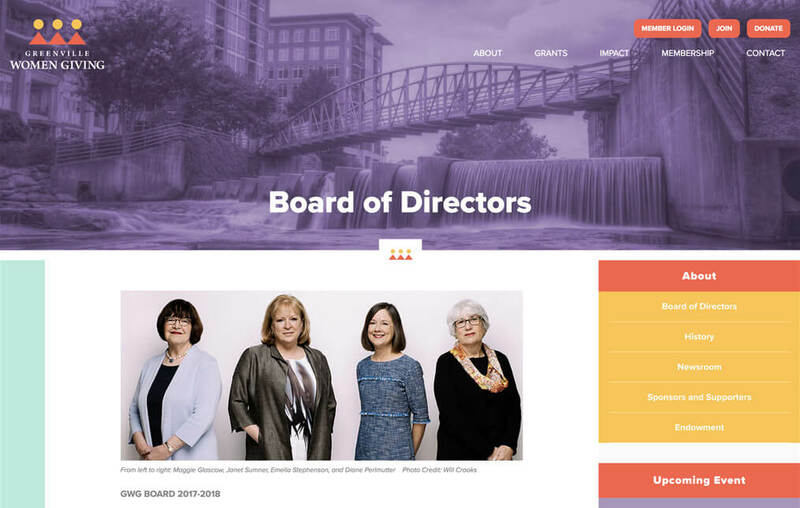 Utilizing vibrant colors, photography of their membership and a comprehensive grants section, the Greenville Women Giving website engages the community at large and provides a platform to connect with its membership. 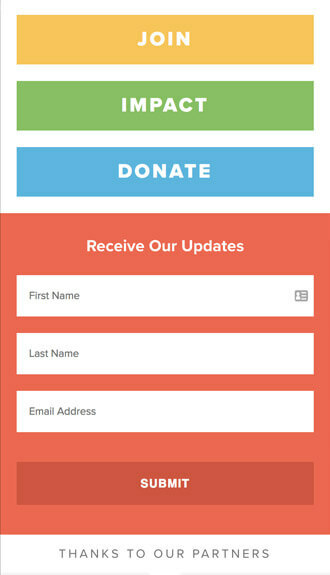 Beam & Hinge did a marvelous job and propelled GWG's online presence into the 21st century. 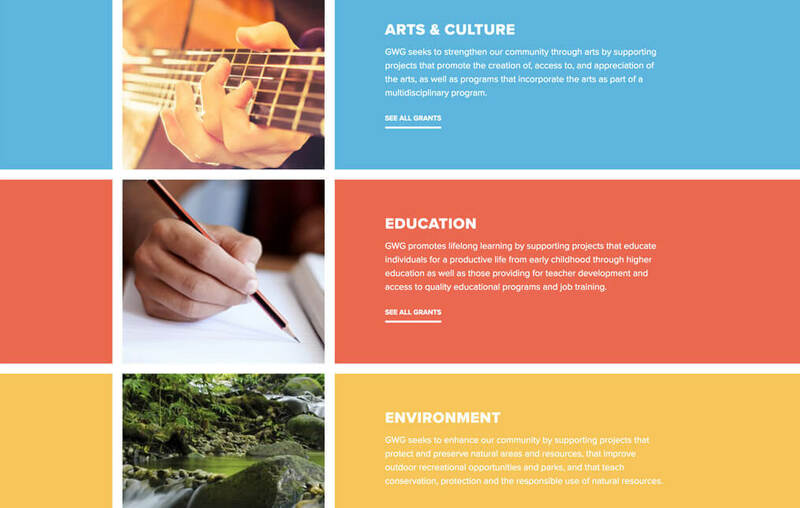 The website is intuitive, gives a wealth of info, and is visually appealing. Web with a southern accent. © 2019 Beam & Hinge.